An event such as Botconf could not be organised without the support of our sponsors. If you want to support Botconf 2017, please contact us at sponsors(at)botconf.eu. We offer 4 different levels of sponsorship and one special level for small enterprises. Have a look at the great sponsors from previous editions : Botconf 2016, Botconf 2015, Botconf 2014. Talos is Cisco’s industry-leading threat intelligence team that protects your organization’s people, data and infrastructure from active adversaries. The Talos team collects information about existing and developing threats, and provides comprehensive protection against more attacks and malware than anyone else. All Cisco Security products utilize Talos threat intelligence, providing fast and effective security solutions. Our job is protecting your network. Talos was formed by combining SourceFire’s Vulnerability Research Team, the Cisco Threat Research and Communications group, and the Cisco Security Applications group. The combined expertise is backed by a sophisticated infrastructure and Cisco’s unrivalled telemetry of data that spans across networks, end points, cloud environments, virtual systems, and daily web and email traffic providing a truly comprehensive understanding of threats, their root causes, and scope of outbreaks. 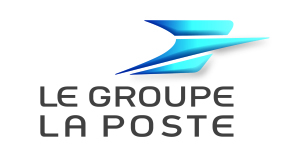 La Poste – The group “La Poste” is the historic postal services provider in France, also offering banking (La Banque Postale) and electronic services (LaPoste.net). 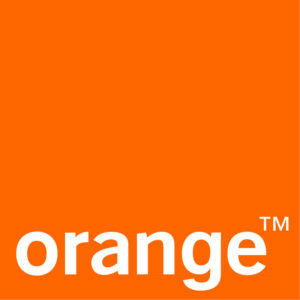 Orange is one of the leading global telecommunications operators, with sales of 40 billion euros in 2015. Present in 29 countries, Orange serves 256 million mass market customers, including 194 million mobile customers and 18 million fixed broadband customers (at 09/30/2016). With a presence in 220 countries under the Orange Business Services brand, the Group is also a world leader in business telecommunications services. Its Orange Cyberdefense division supports these customers in all areas of security with a range of managed, integrated and hybrid services tailored to their organization, including the design, implementation and operational management of a security strategy. Established in 1989, SANS is the most trusted and the largest provider of training and certification to professionals world-wide. SANS provides intensive, technical training designed to impart the skills and techniques necessary for defending systems and networks against the most dangerous threats – the ones being actively exploited. The SANS Curriculum spans Digital Forensics, Incident Response, Audit, Management, Pen Testing, Industrial Control Systems, Secure Software Development and more. Each curriculum offers a progression of courses that support security professionals as they advance through their career. SANS offers a myriad of free resources to the InfoSec community including consensus projects, research reports, and newsletters; it also operates the Internet’s early warning system-the Internet Storm Center. Sign up here for free and receive the latest security news and updates. For more information visit www.SANS.org or contact SANS via emea@sans.org. CERT Société Générale is the group’s operational team responsible for preventing and responding to security incidents affecting Société Générale. With 27 years of security expertise, Trend Micro is a Japanese company, global leader in IT security software. Trend Micro helps its customers (businesses, governments and consumers) to stay one step ahead of the evolving threat environment. Simple to deploy and manage, and fitting an evolving ecosystem, Trend Micro solutions make digital information exchange safe on mobile devices, Endpoints, gateways, servers and Cloud. Supported by over 1,200 security experts around the world, our security is powered by Smart Protection Network™ (SPN) global threat intelligence. User Protection, to protect all users’ activities, applications and endpoints (PCs, laptops, mobile devices) anywhere. Trend Micro has more than $1 billion U.S. in sales annually and employs 5,200 people globally. For more information about Trend Micro solutions & services: our website, our blog or our Twitter account. With 650 experts dedicated to cyber security, Airbus CyberSecurity offers its expertise and trusted European solutions to its customers: defense and security organisations, governments, and CNI operators. Through its Cyber Defence Centres established in France, Germany and the United-Kingdom, Airbus proposes a services and products offer dynamically combining monitoring, early detection of attacks and their investigation, thus drastically reducing the incident response time. Dedicated 24/7 to the supervision of your assets, they combine detection and investigations tools among which Cymerius (security hypervisor); Keelback Net (detection and investigation sensor); CyberRange (cyber-training and products testing platform). Airbus portfolio also includes Stormshield ranges of products aiming at the protection of networks , workstations and data. Blueliv scours the web, the dark web and deep internet to deliver real-time sophisticated intelligence bespoke to your organization. The company’s deep expertise, global high-quality data sources, and proprietary big-data analysis capabilities enable its clients to pinpoint origin of targeted cyber-attacks, successfully protect against them, and strategically minimize future threats. Blueliv platform addresses a comprehensive range of cyber threats to turn global threat data into predictive, actionable intelligence specifically for each enterprise and the unique threats it faces. Our solution increases the volume and technical depth of the threat intelligence data you can process. Blueliv’s clients include leading bank, insurance, telecom, utility, and retail enterprises, and the company has alliances with leading security vendors and other organizations to share cyber intelligence. In 2015 we received Cool Vendor status from Gartner and we’re a 2016 Go Ignite winner. 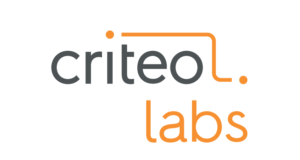 At Criteo, we’re passionate about connecting more shoppers to the things they need and love. And the only way we can do that is by working with the best talent in the industry. 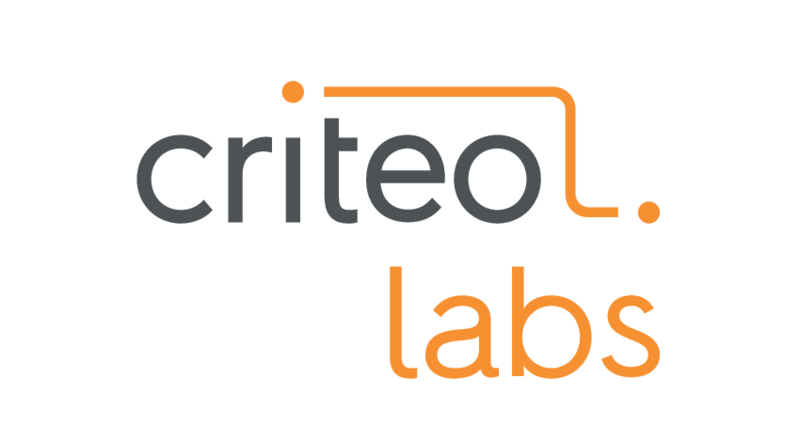 Today we have over 2,700 smart, innovative and dedicated Criteos worldwide. And thanks to them, we’ve built an open, transparent and fair ecosystem that sees over $550 billion in annual sales and 600 terabytes of daily shopper data. We’re levelling the playing field for brands and retailers so that there is equal opportunity for all. Join us in creating a new world where everyone wins. Excellium Services is a company offering advisory and technology integration services in the domain of information security. Established over four years ago, in the Grand Duchy of Luxembourg. Today the group has a presence in 7 countries, (Belgium, France, Luxembourg, Morocco, Tunisia, Senegal, and the Ivory Coast), and currently helps more than 140 clients. Excellium has a workforce of more than 90 collaborates in specialized teams and a particular strength in the area of Application Security and Incident Management. Excellium can offer a broad range of tailored options, from its comprehensive portfolio of services. From consulting that gets straight to the point, to 24/7 monitoring services, via the C-SOC Eyeguard cyber-security platform, and a rapid-response CSIRT, Excellium offers “security as a service,” to help clients tackle problems such as network intrusions, and application security. Openminded is a French security (and network) services company, created in 2008. With a sustainable growth since our creation, we’re a hundred experts team that deliver security services on a daily basis to protect our clients interests. We address both key-account customers and small size companies. Founded 33 years ago, EPITA is an engineering school that trains men and women who design and create the digital world of today and tomorrow. At the cutting edge of innovation in terms of content and education, the school is permanently adapting its approach to company needs in a constantly changing sector. Thanks to its high quality level of teaching, research laboratories and 6,800 dynamic graduates working in over 2,000 companies and startups, EPITA has earned a reputation for excellence in both France and abroad. EPITA has garnered recognition in the IT security sector. Many CISO and ISD from some of the largest companies and administrative institutions have been trained through its main program – “Systems, Networks and Security”. EPITA’s systems and security laboratory (LSE) is involved in multiple partnerships with institutions specialized in the same field. Cyber security is not only about implementation with tools. The training of all contributors is essential. EPITA, referent school, provides its response with SecureSphere by EPITA created in 2014. Its continuing education program in cyber security ranges from fundamentals to expert training. In order to foster the skills of a larger number of learners, SecureSphere has designed fully digital modules, in addition to face-to-face training. These modules are available on the educational platform IONISx. The Steering and Program Committee for Security, composed of professionals from critical infrastructure sectors and of institutional and academic experts, helps SecureSphere designing its programs that are validated in collaboration with the Security Agency ANSSI.